Foot hygiene is a critical point of worry for all diabetic patients. This wonderful product can help you maintain that. 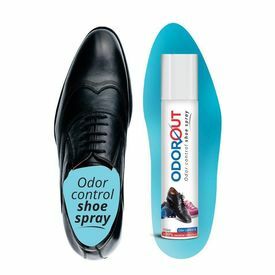 "Oudorout" is an antibacterial shoe spray for odor control that removes unpleasant odor at the source and eliminates bacteria that causes bad odor. Hence, keeping your shoes fresh & hygienic. ODOROUT - Odor Control Shoe SprayFoot hygiene is a critical point of worry for all diabetic patients. This wonderful product can help you maintain that. "Oudorout" is an antibacterial shoe spray for odor control that removes unpleasant odor at the source and eliminates bacteria that causes bad odor. Hence, keeping your shoes fresh & hygienic.